Who needs a kayak when you can catch a Goliath Grouper from a Stand Up Paddle board. Pretty insane that you can catch a fish that big from a board. I don’t have an official review for Lone Star, but I couldn’t not post about it. This was our first visit to Texas, how could I not partake in a beer that is branded as the “National Beer of Texas”? Everything is bigger in Texas, so I bought a six pack of tall boys and proceeded to quench my thirst. As a replacement for PBR, Coors, Budweiser, or any other domestic easy drinking beer Lone Star is a win. 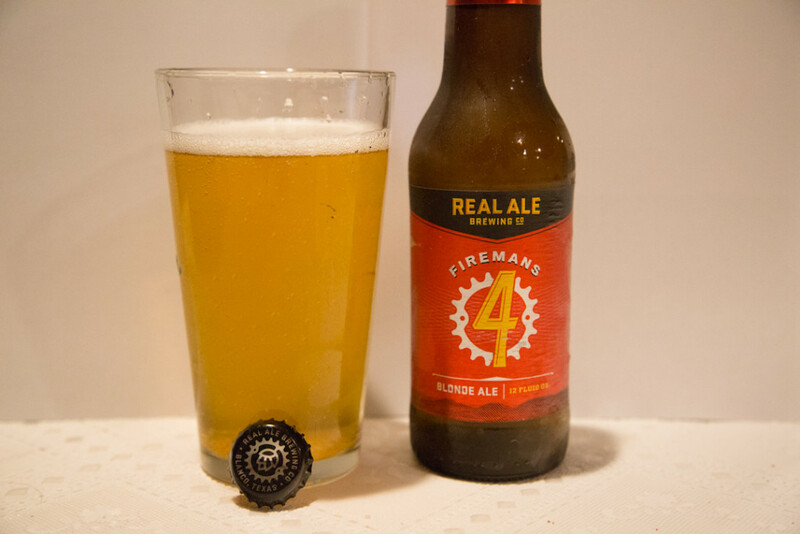 As a groundbreaking Texas take on lager Lone Star is nothing special. It was hot, the beer was cold and I went through that six pack in no time. When in Texas why wouldn’t Lone Star be your session beer of choice? We spent 2 weeks in Aransas Pass, TX. Surprisingly, to us at least, it was awesome! The only semi bummer was a distinct lack of a microbrew scene. A mixed six-pack of Real Ale Brewing Co. beers was pretty much the best that I could get at the local HEB. Everything else about Aransas Pass was great! 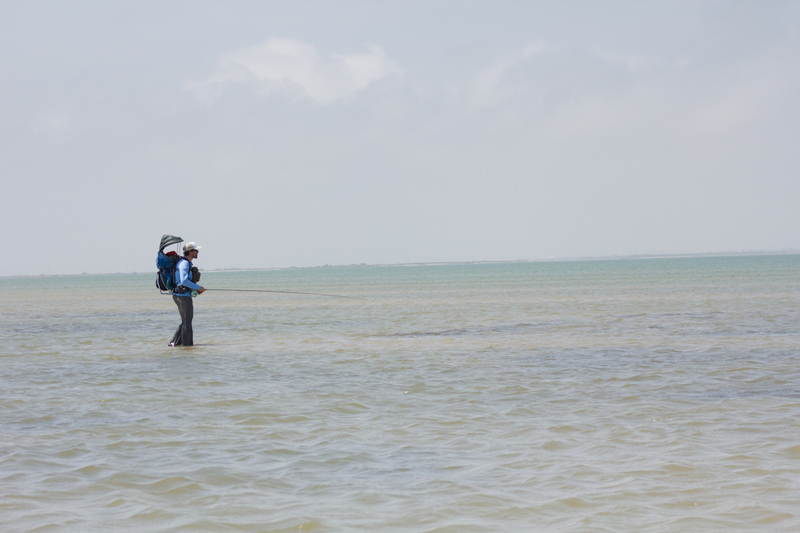 We walked flats or fished channels every day, and we caught fish! They weren’t always big, they weren’t always what we were trying to catch, but we had luck and a ton of fun. 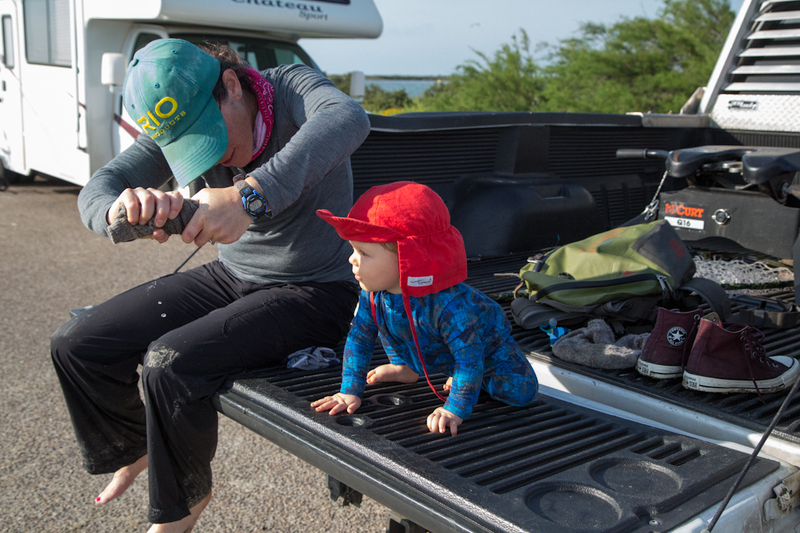 George helping Aimee wring out her socks after a day of wading. George helping me look for redfish. 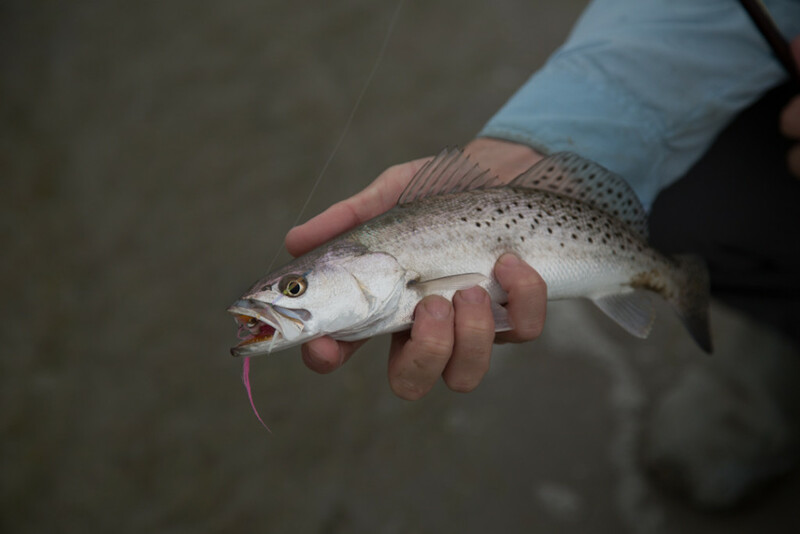 Speckled trout love flies, we caught a bunch of them, but no biggies. Who says mullet don’t eat flies? 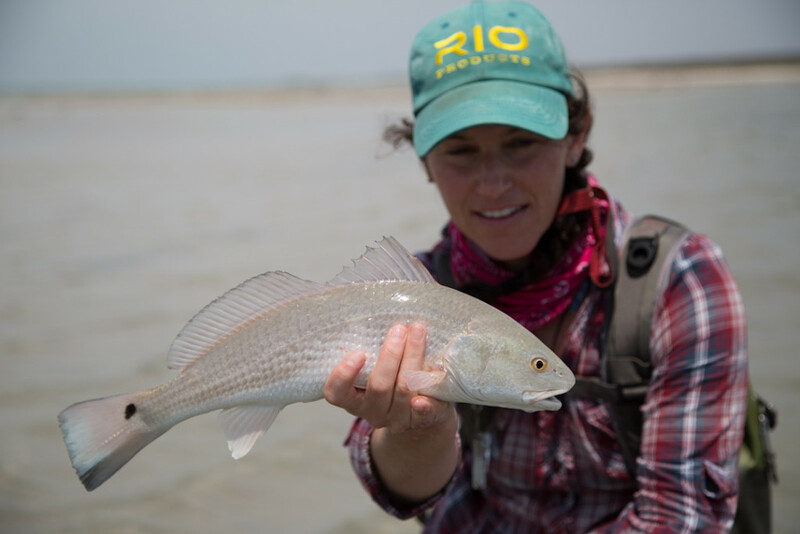 Aimee with the biggest DIY redfish we caught! The Real Ale Brewing Co. six-pack sampler was also a win. We loved the Full Moon Rye IPA, I know super surprising since I don’t like IPAs, but it was delicious. The Blonde Ale was perfect for the heat, and the Devil’s Backbone Belgian Style Tripel was good, too. If you find yourself in Texas, definitely give them a try. Appearance: Blonde. See what I did there? Clear yellow with lots of visible bubbles. Little to no head, but lots of lacing. Smell: Very grassy with a bit of yeast. Hint of citrus. Taste/Mouthfeel: Ultra bubbly! Very sessionable. A slightly bitter finish. Overall: Not my favorite beer from Texas. 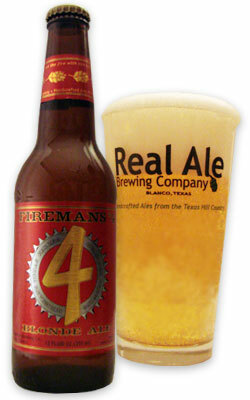 If you are looking for a light beer go for the National Beer of Texas. If you want to sample the Real Ale Brewing Co then try their Rye IPA. We drank those so fast that I didn’t have any leftover to review! For the two of you who regularly read this blog (Hi Mom!) you know that I don’t really go in for IPAs, they just aren’t my favorite and who wants to read a negative review? 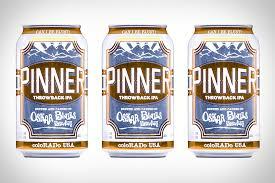 I do make exceptions occasionally, and I made one recently for Oskar Blues Pinner Throwback IPA. To be perfectly honest I wasn’t very interested in the beer, I just wanted to win an instagram contest that was being held by Gink and Gasoline. They were giving away incredible prizes for the best picture featuring a can of Pinner in a bunch of different categories. I wanted to win, not really for the prizes, but because I haven’t ever heard of a contest more up my alley than that one. Boy did I choke! We were in Crested Butte, CO at the time and I figured that I wouldn’t have a problem finding the beer, wow was I wrong. Three liquor stores later I was hanging my head in disappointment, no Pinner to be found and the trout category was out! Luckily we stopped for a bathroom break in some no name town in south eastern CO on our way to Houston, TX and found some Pinner. My hopes were back up! The plan: to catch an alligator gar in Houston and then ask the fish politely to eat a can of Pinner. Where’s the beach? Our secret spot for alligator gar was blown out. Boo. Unfortunately I struck out again. Due to big rains right before we got to town our money spot was blown out for our entire stay. We did brave the water mocasins, garbage, spiders and gators to go fish one day anyway, but luck was not on our side. 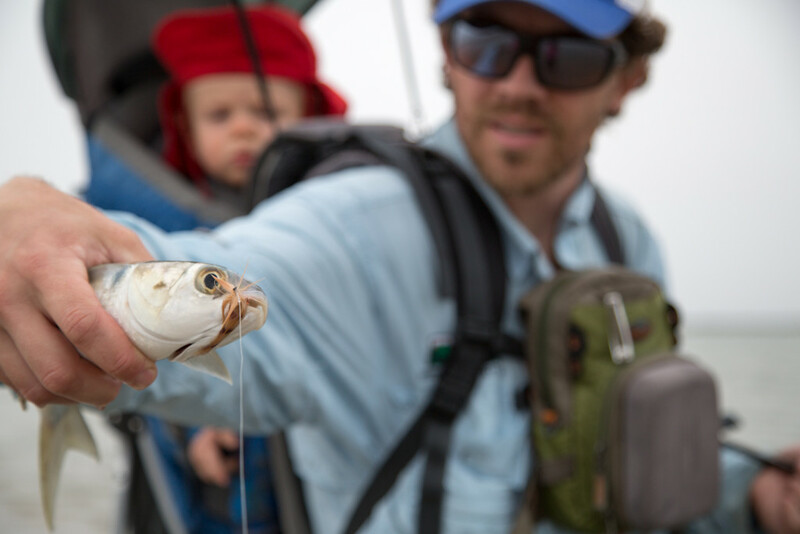 We saw a few monsters and hooked something, but no fish were landed and the contest ended. The high point of this story is that even though I didn’t win sick prizes showing how much I like beer and fishing together I did get to fish a lot and drink a six pack of Pinner. Win Win! Appearance: Way lighter than I was expecting, looks like a darker lager. Clear deep gold with minimal bubbles. There was about 1 finger of head that quickly dissipated. 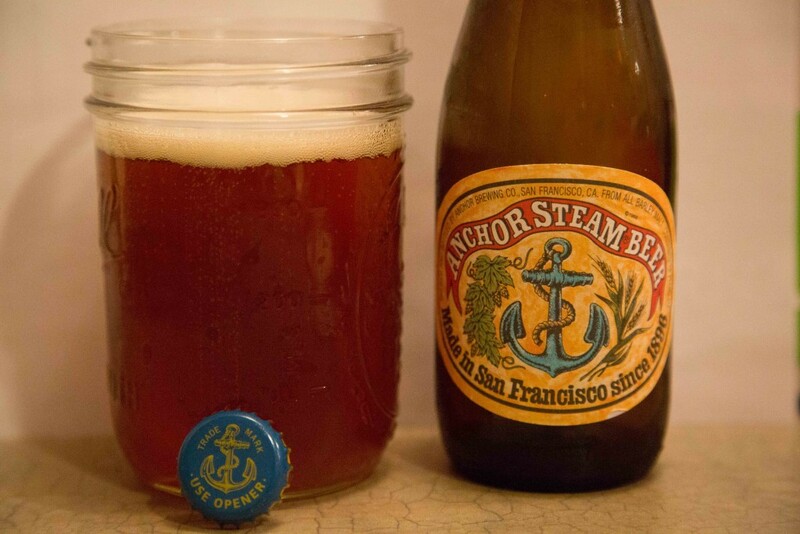 Smell: Very floral and hoppy, a little bit citrus and a little bit sweet. Taste/Mouthfeel: This beer has a really nice feel, just bubbly enough, but not over carbonated. It has a nice body. The taste is a little hoppy for me, bitter with a touch of pine. There might be a hint of sweetness in there, but I have a hard time finding it. Overall: Pretty good? 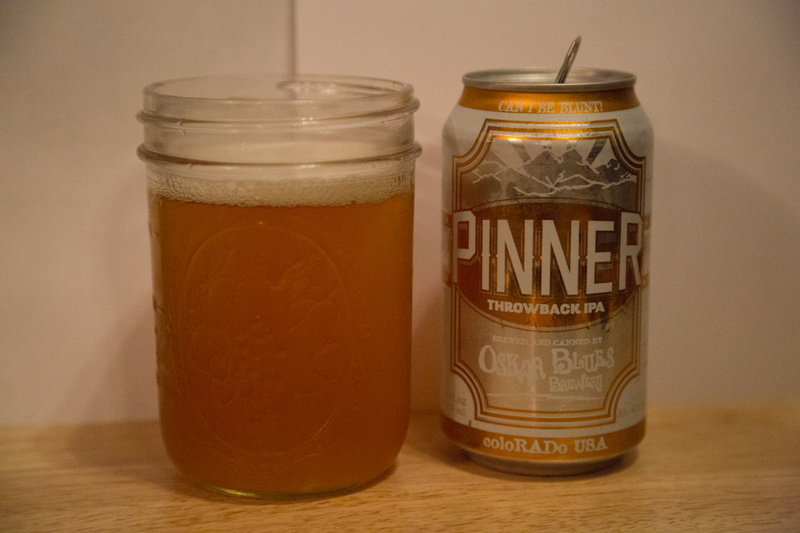 I don’t really do IPAs, but I’ve had a couple others that I like better than this. But it is in a can, made by a cool company and goes down easy on a hot day. Definitely worth a look. Here’s another review that I wrote during busy season. Looking back we should have enjoyed that success in mid-coast Oregon a bit more. 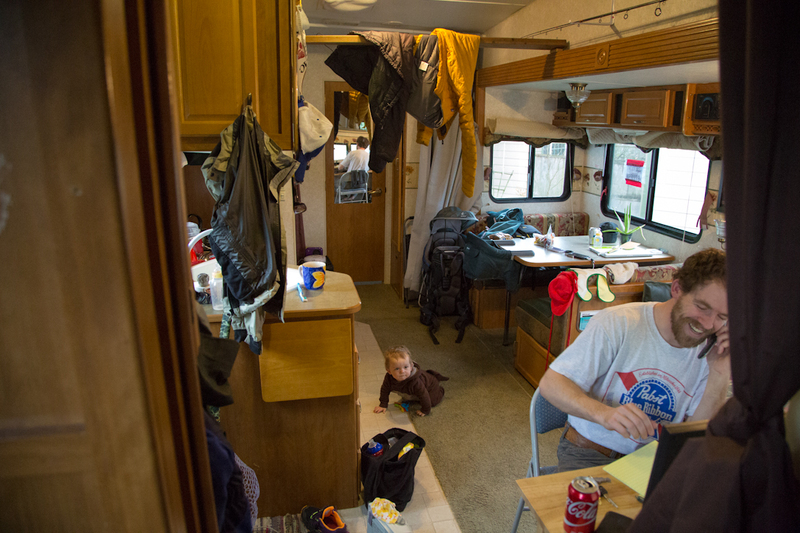 We had a bit of luck on the north coast in Oregon, but we struck out on the Olympic Peninsula! Enjoy! 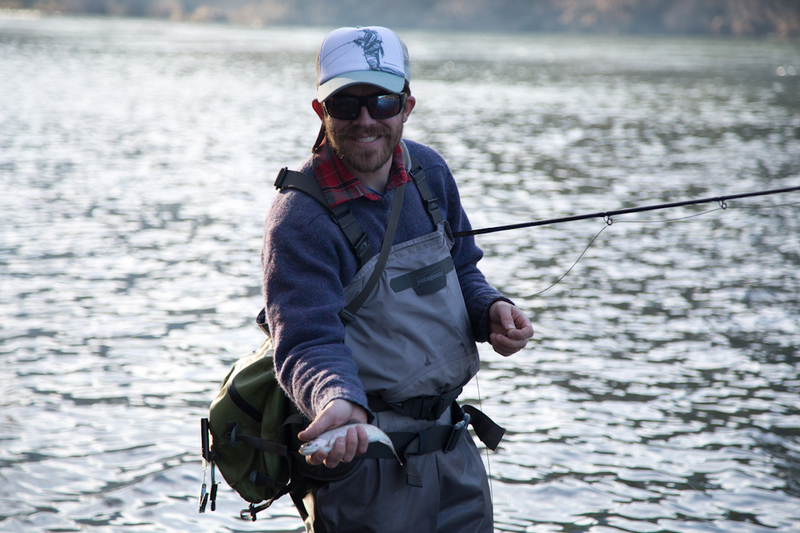 So we have moved on from Pyramid Lake and are now steelheading for a month. Yes, we have dedicated a whole month to one fish. 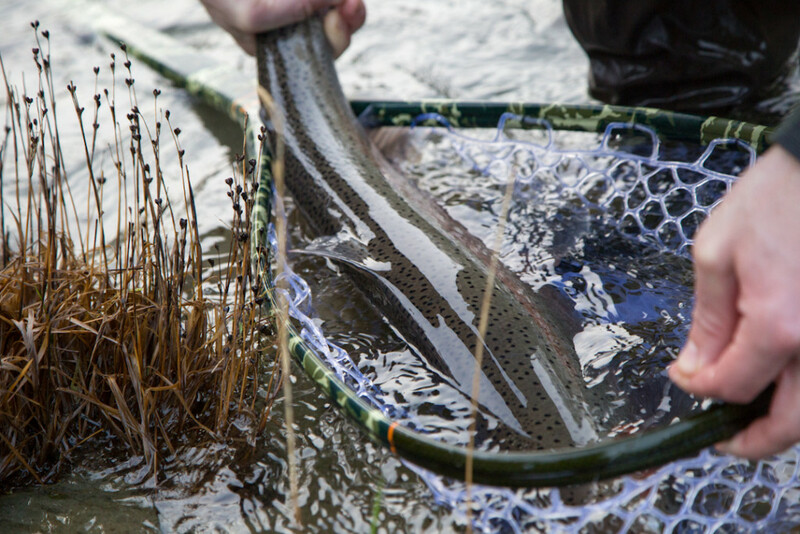 But steelhead are tough. Not only do you have to use the right flies at the right depth in the right spot, you also have to hope that there are fish there. 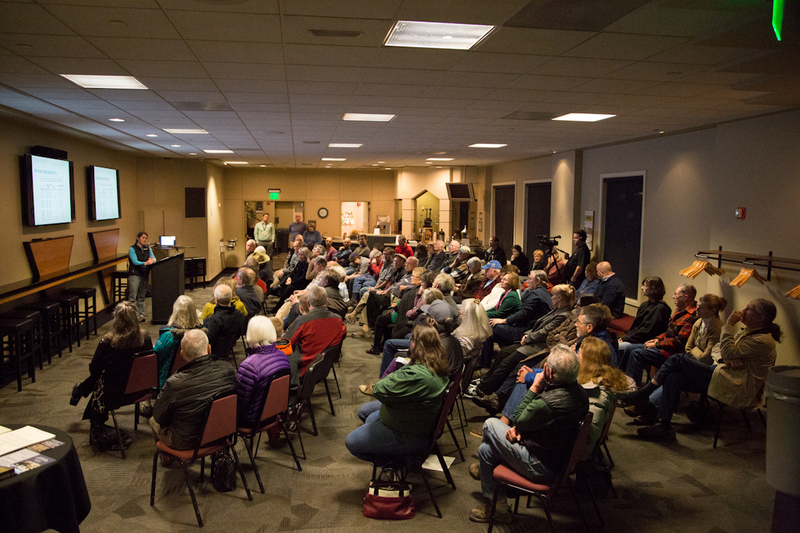 There are a ton of factors, time of year, how much rain the river system has had to date, how much rain has fallen recently, how high the water is currently, how clear the water is, etc…. Aimee bringing the house down in Medford. It is a tough game but we are trying to figure it out. 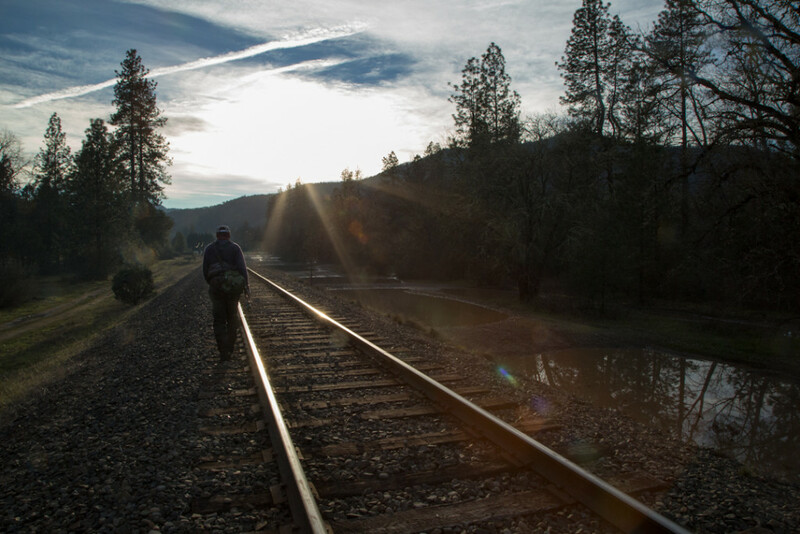 Our first stop was in Medford, OR on the Rogue River. We stopped there mainly because Aimee was scheduled to give another talk about wolves in Medford, since we had to stop anyway we figured why not try to catch some steelies. 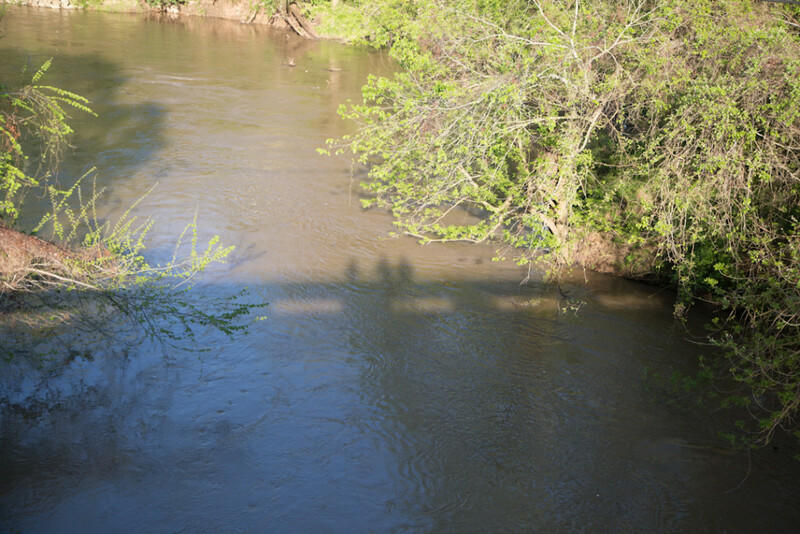 This was a case of the water being too high and being there at the wrong time of year. See those puddles? The Rogue was huge! We were early for winters and late for summers and the river was huge!! 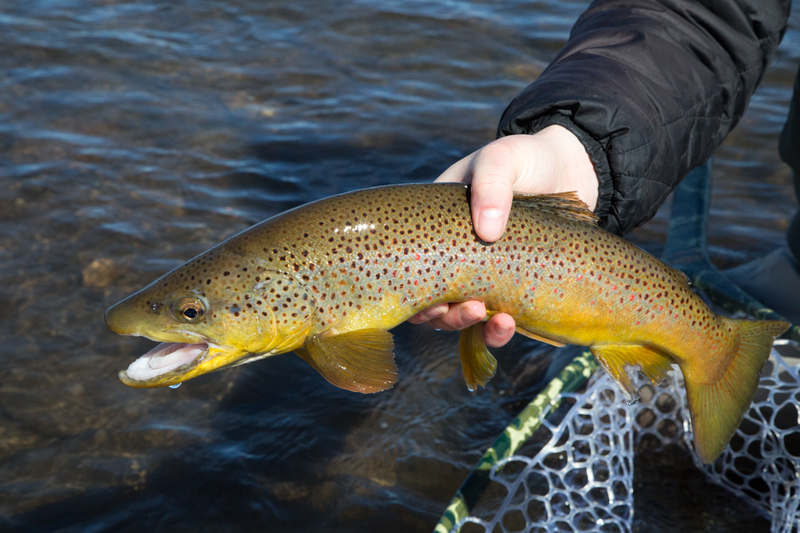 We gave it a good college try, both swinging and nymphing flies each day for a couple hours, but in the end we only caught a couple trout. So, week one: 0 steelhead. It was a bummer, but not unexpected. Not really what we were hoping for, but a Rogue River trout was better than nothing. 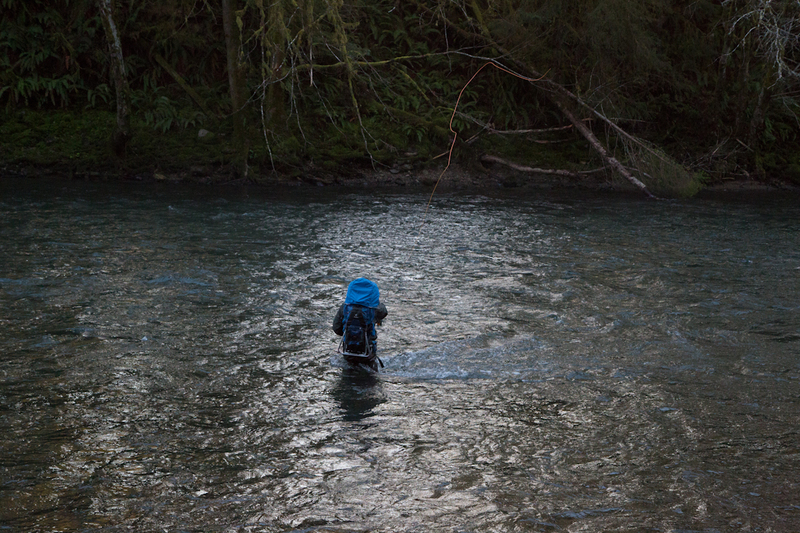 Next we headed to the mid Oregon coast, aiming for rivers that I had fished before during my time in Eugene. The levels were low, but fishable. The only issue was that since they hadn’t had rain recently there weren’t many new fish coming in, the chrome would have to wait. 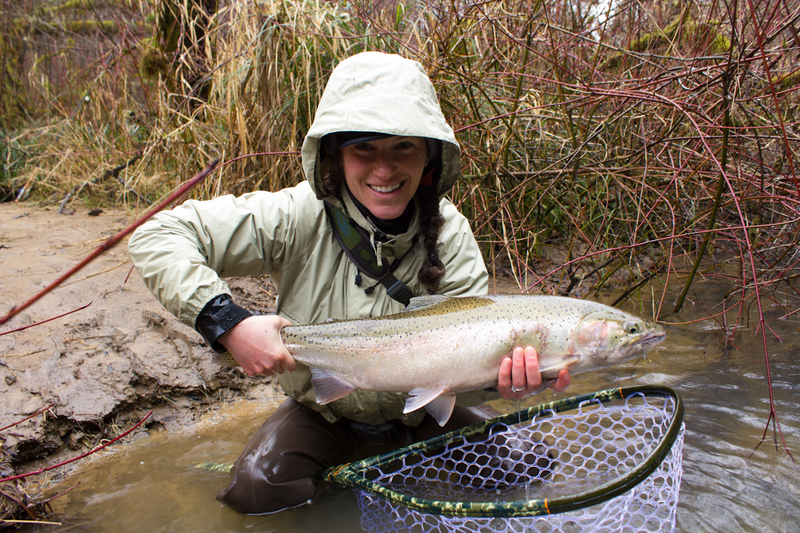 Aimee with her first steelhead! The river we were fishing was perfect nymphing water and we hit it hard from the get go, this time we had way more success and both had a fish to the net in the first three days! 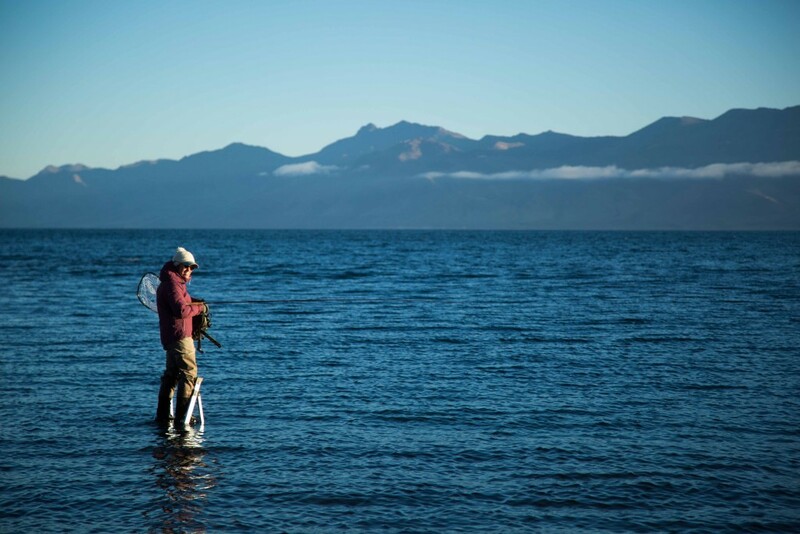 Hopefully we will be able to recreate this success as we move north towards the Olympic Peninsula, fishing as we go. Appearance: A Very dark clear brown. Bubbly tan head that receded fairly quickly. 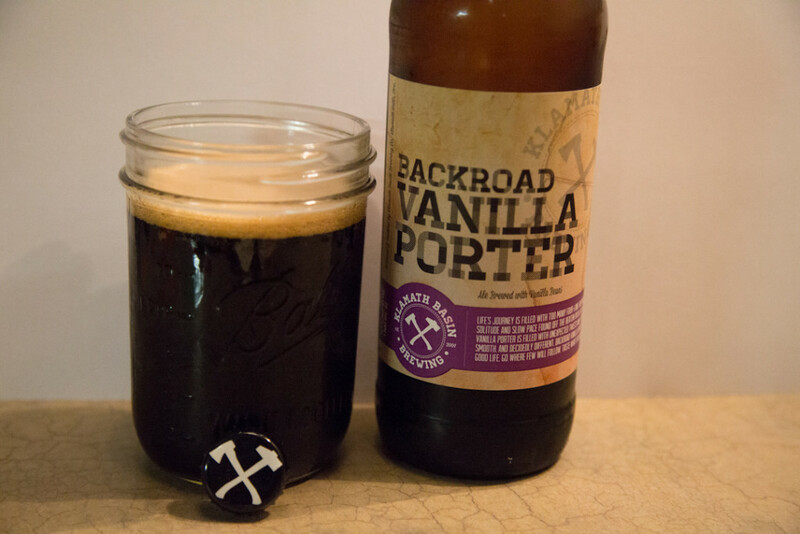 Taste/Mouthfeel: Smooth with lots of smoky vanilla just before a slight coffee finish. Thick and chewy, like a slightly beery vanilla milkshake. No hops or bitterness to speak of. Can taste a bit of booze, but not enough to be off putting at all. Overall: Good! Aimee got this for me before we left the Medford area, I wanted a Wild River beer to try, but hadn’t had time to pick anything up and she surprised me with this porter. I like it! Real nice with a steak and salad after catching my first steelhead of the trip! I was looking through my files and found this review that I started during the heart of both busy season and steelhead season. We were staying on the Kilchis River in Tilamook, Oregon at the time and it was wet and chilly and we were having a hard time catching steelhead. 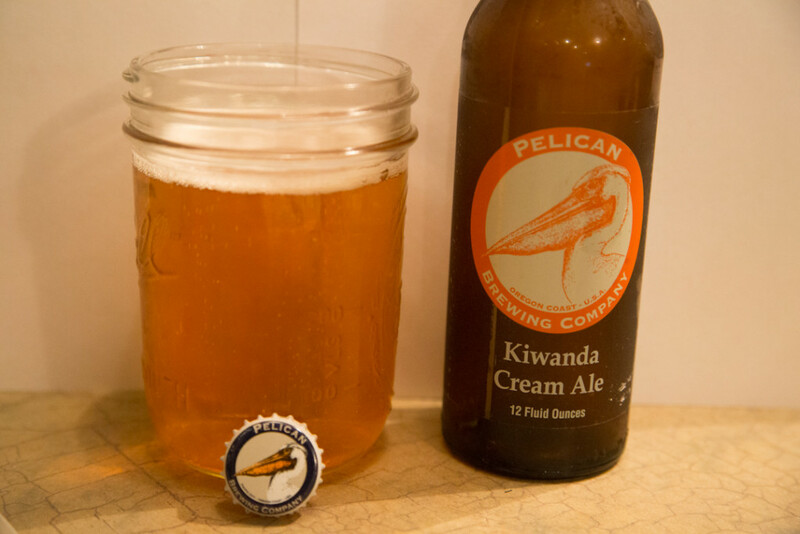 We managed to land a few and I managed to drink a bunch of the Kiwanda Cream Ale. Reading the review now, I could definitely put back a bunch of these in the Keys! Appearance: Looks like Budweiser. Clear gold/yellow, not much head on my pour, a fair amount of bubbles in the glass. Smell: A very fresh smell with slight hop/floral undertones. Slightly sweet. Taste/Mouthfeel: Not as creamy as I was expecting. Very crisp, with smooth malts. Light and bubbly. Overall: Real easy drinking. Tastes and feels more like a lager than a cream ale, but boy I could put away a bunch of these on a hot day. 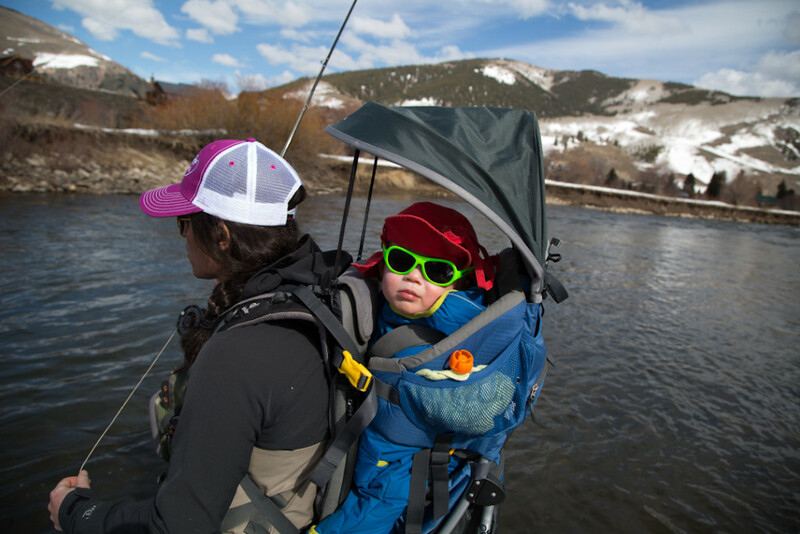 As many of you know, I am super busy during tax season and this year, with the baby, the fishing and the traveling something had to give. That something was unfortunately Tasty-Takes. Luckily, tax season only goes to April 15th and then is it clear sailing! Yeeha! I am going to try to start posting regularly again and down the road I may be trying to merge Tasty-Takes with Aimee’s website raisinggus.com. 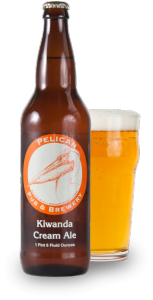 But that is something for us to look at going forward, for now I am going to dig out the beer reviews that I did in the middle of tax season while trying to track down some delicious Florida Keys beer to try. Here are a few highlights of the last couple months! 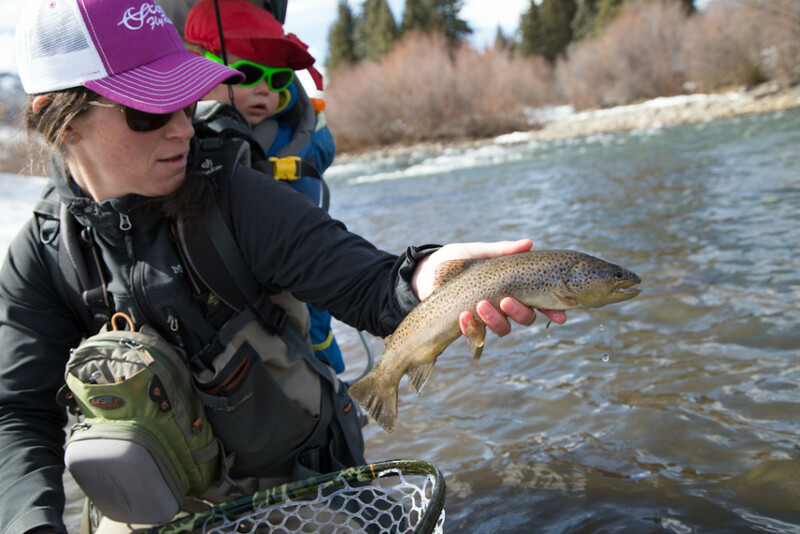 Trout fishing the East River in Crested Butte. 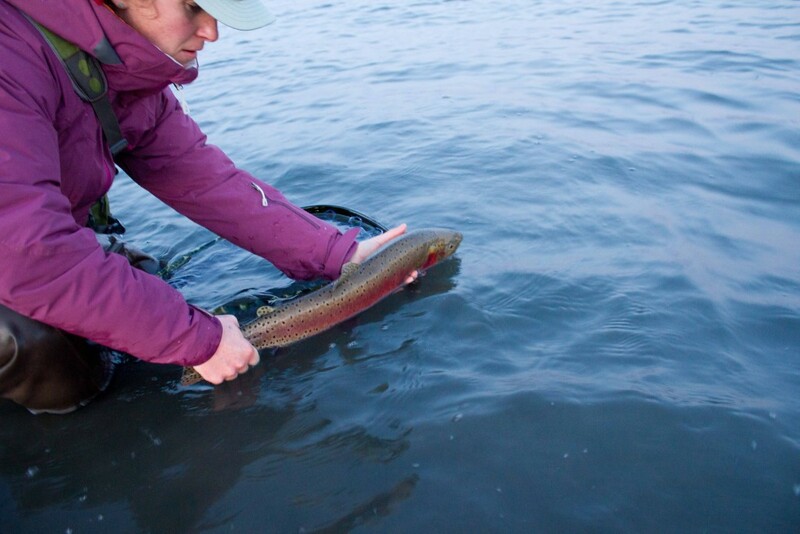 Aimee with a Gunnison River brown trout. 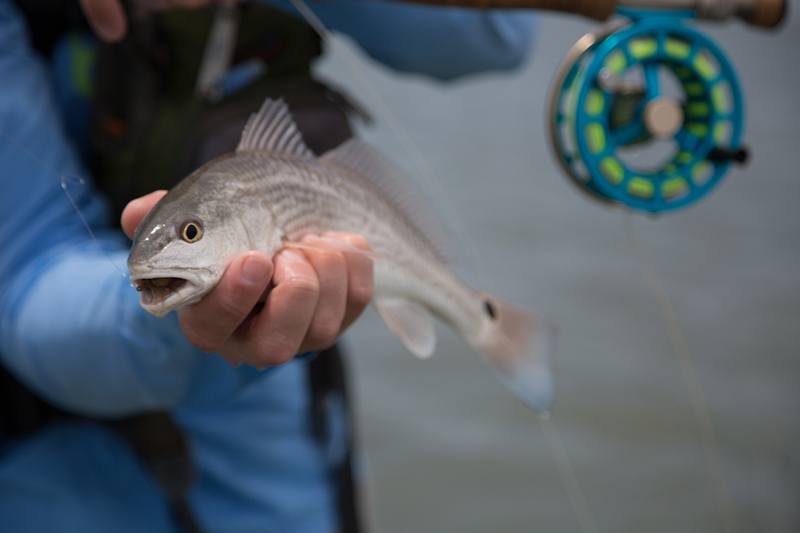 A little redfish on the Texas coast. 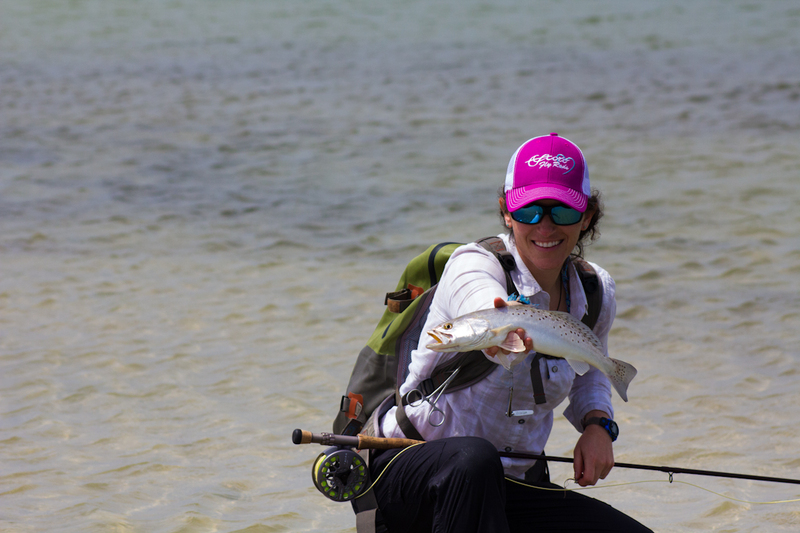 Aimee with a nice speckled trout on the Texas flats. 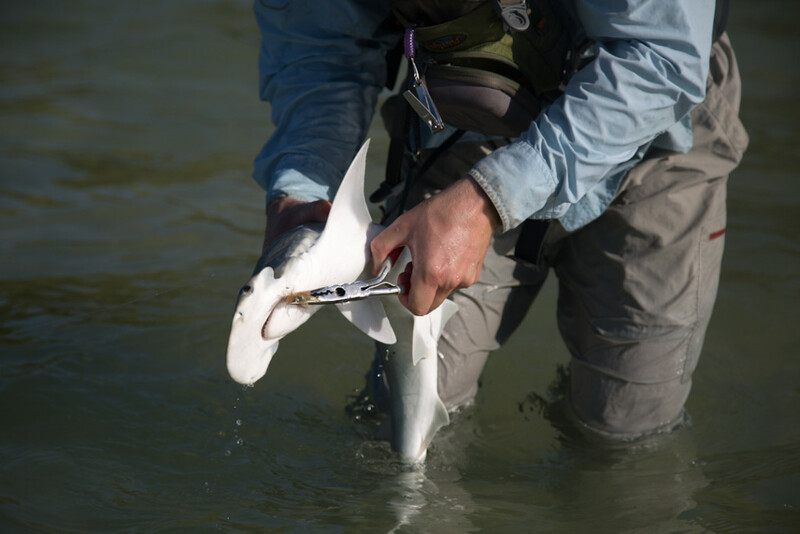 Taking the hook out of a bonnethead shark in the Florida Keys. Stay tuned as we try to land bonefish, permit, tarpon, redfish and anything else that we can catch in the Florida Keys! 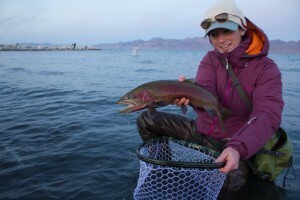 Pyramid Lake is the land of giant cutthroat trout. 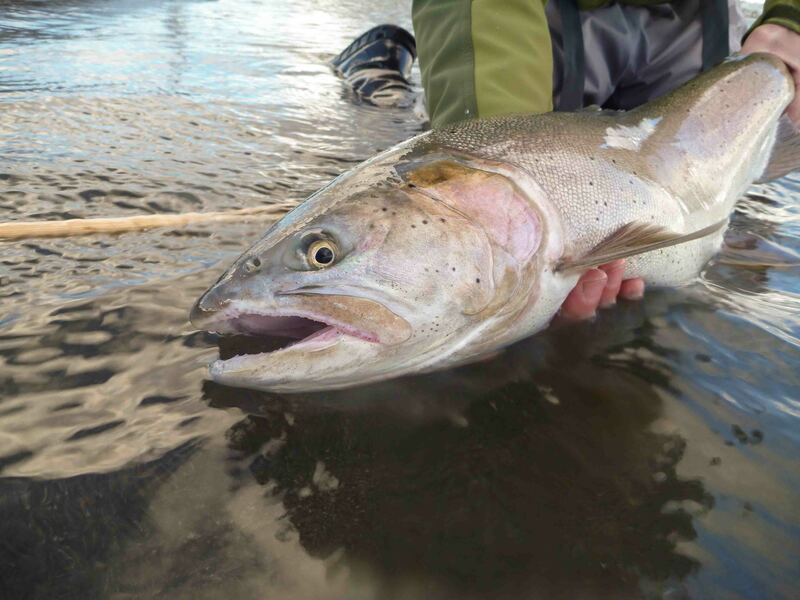 Lahontan cutts are huge, predatory and voracious. I don’t do much of the background research for our team (me, Aimee and George) I mainly do logistics and how to catch fish, but Aimee mentioned that Lahontan cutts grow about 4 pounds a year once they are released into the lake. That is ridiculous. We got 2 fish during our stay in Nevada that were in the 10lb class, the smaller one, which we measured, taped out at 28.5” long and 14.5” around, for a river trout that would be about 8lbs, but these giant fish have shoulders and the deep bodies typical of lake fish so who knows what he actually weighed. We found out midway during our stay that if we filled a cooler with water and carted our fish up to Crosby Lodge and had it weighed we could have gotten a pin if it tipped the scales at over 10lbs. Since we don’t have a cooler that would fit a fish that size I guess I’ll just have to dream about the pin. Anyways, I digress, the point is that we fished once or twice a day during the week, and at least 5 hours each weekend day and we left with 2 fish around 10lbs and 10 fish total. Considering we were there for 2 weeks that is a lot of fishing and a lot of work for few results. Was it worth it? Heck yes it was! We can go back to the lake anytime and have confidence the we can catch fish, we know the patterns and the set ups used by locals and tourists alike and we can chuck shooting heads from the tops of ladders for miles. Regardless of our low catch rate we learned new skills and honed skills we already had. I wouldn’t trade that for anything (well, maybe for a few fish over 20lbs….). Just kidding. Seriously I can’t wait to try a popcorn beetle in my parent’s lake – those sunfish don’t stand a chance! We did manage to find one local micro brew during our stay. 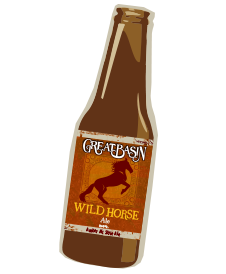 Wild Horse Ale by Great Basin Brewing is considered an Alt Amber and Great Basin is touted as the original craft brewery in the Reno area. 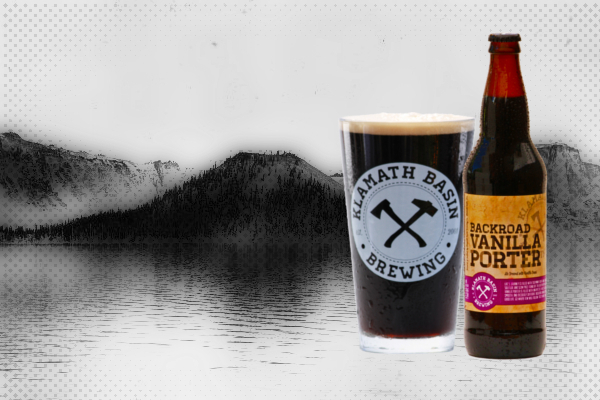 This beer consistently hit the spot, whether we had a fishless day or not, it is easy drinking with a smooth finish. If you can find it you should check it out! Smell: Sweet malts. Hints of caramel. Taste/Mouthfeel: Very bubbly, slightly thick feeling. Nice malty sweetness, not overdone, but nothing bitter about it. Overall: I like it. Nothing earth shattering about it, but a very drinkable, tasty amber. Thicker than most, but the whole taste package is nice. We’ve been at Pyramid Lake for a little over a week and when we got here I was super fired up to fill my new growler and drink some local brews. In our seventeen thousand trips down to Reno to fix up the truck and trailer you would think that finding a growler fill station or even some local craft brews would be no big deal. Instead it has been strangely difficult; part of that is the fact that I am unwilling to waste daylight and gas tearing all over Reno to find beer and part of that is that there doesn’t seem to be much of a beer scene here. Maybe good craft brews aren’t as exciting when you can pick up Jose Cuervo at Walmart. 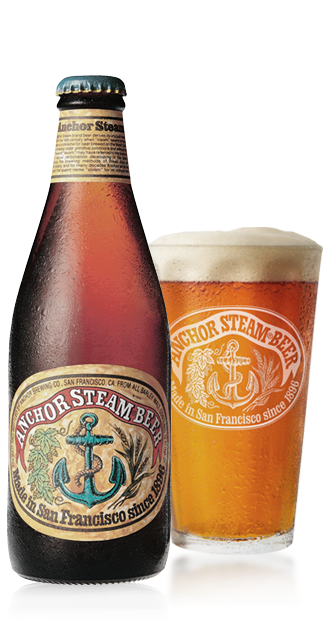 On one of her trips to town, Aimee brought me back some Anchor Steam, brewed by Anchor Brewing Company in San Francisco. It isn’t exactly a local brew, but since this is the closest that we’ll be to San Fran it will be considered one for my purposes. After all those big dark Oregon beers that I’ve been drinking it was incredibly refreshing to have this nice light offering from Anchor. I felt like I wanted to break out the flip flops for the first time since September and this beer fit perfectly with that feeling. 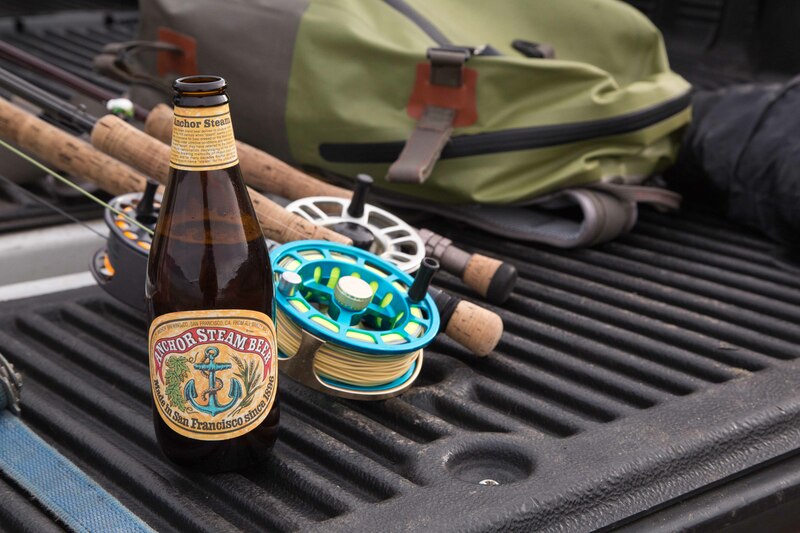 Appearance: More amber than golden. Lots of bubbles, but a surprisingly small creamy head that receded fairly quickly. Smell: Grassy. A little sweet. A bit of yeast. Not very fragrant. Taste/Mouthfeel: Watery, could be called clean. Not especially bubbly on the tongue. Ends with fruity notes, maybe raspberries – I know there’s no fruit in there, but that’s what I get. Has a sweet grassy flavor with hints of yeast. Overall: Easy drinking. I like it. 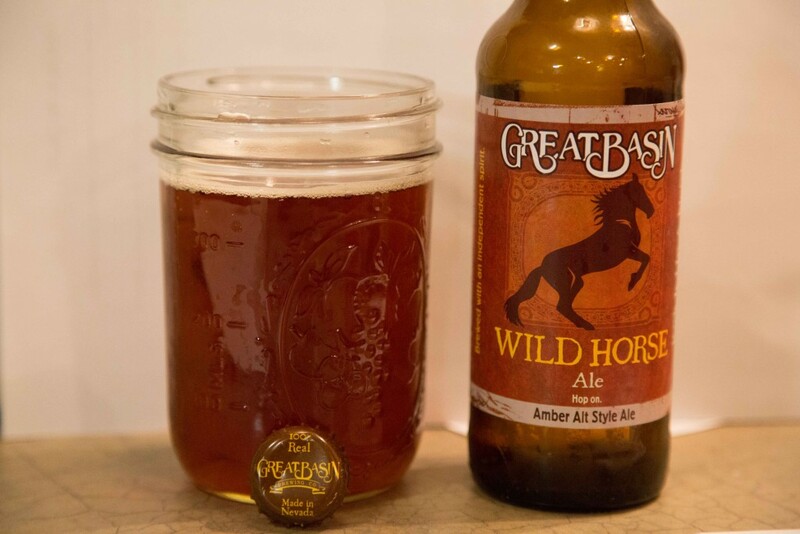 This is the first non-dark beer I’ve reviewed in a while and it was a breath of fresh air. It paired perfectly with the warm 60 degree days we’ve been enjoying. Real nice mix of hops and malts with a very clean fruity finish. Highly sessionable.